I know, this is a first — a post about a gardening book. But not just any gardening book. This one is written by a friend of mine, and it just had a rave mini-review in the Sunday NYT. 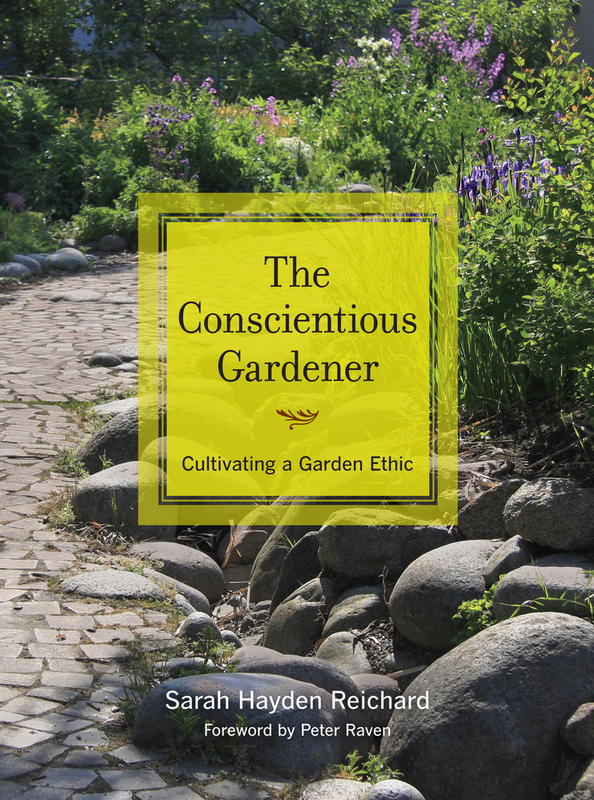 As you can see above, the book is The Conscientious Gardener: Cultivating a Garden Ethic, The author is University of Washington plant and garden expert Sarah Reichard, who recently became the director of the UW Botanic Gardens. One component of the UWBG is the Washington Park Arboretum. As some of you know, the arboretum is our neighbor. We see it out our back windows. Sarah Hayden Reichard has written a modest and unassuming but powerful book, THE CONSCIENTIOUS GARDENER: Cultivating a Garden Ethic (University of California Press, $27.50), arguing that gardeners should be on the front line when it comes to recognizing the interconnection of mankind and nature. “Practices and products,” she writes, have crept into the craft of gardening “that decrease its long-term sustainability.” I, for one, will never again resort to pesticides or peat moss after reading her book. Reichard’s chapter on soil, “the skin of the earth,” is an excellent refresher for any gardener. Sarah had alerted her facebook friends a month ago that her book was slated to be reviewed on an upcoming Sunday, and I’ve been checking. Finally, she wrote last week that it was online. On reading the review, I went to Amazon, examined the contents in more detail, and ordered it. It arrived Monday afternoon. I got some ways into it that night, but then lent it to Joel. He has raised concerns for a couple of years about the nature of our garden. I figure the book will provide more concrete arguments for what we should change and why, and I look forward to the conversations we’ll have, once all three of us have read it. Below is the blurb about the book at UC Press. Have a look at the book yourself. You’ll surely find it interesting, however engaged you are in gardening. The book includes a scorecard that allows readers to quickly evaluate the sustainability of their current practices, as well as an extensive list of garden plants that are invasive, what they do, and where they should be avoided.